Leave your mark on Ethereum. Create unique works of vector art with your mouse, trackpad or tablet. Sketches are stored entirely on the blockchain itself — they can never be altered or erased. 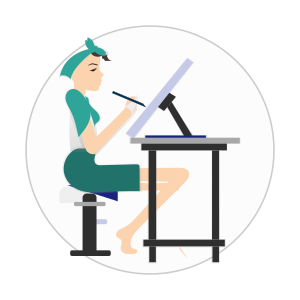 Sketches are collectible works of art and ERC-20 tokens. Offer yours for sale, and bid on others! CryptoSketches is a marketplace for unique digital artworks published to the Ethereum blockchain. Once published, no-one (even us) can alter or remove them, and they can be traded for Ether, Ethereum's cryptocurrency. No really, what is CryptoSketches? 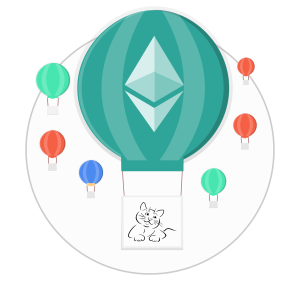 CryptoSketches is an Ethereum Dapp — a decentralised application running on the blockchain. To find out more, we recommend reading this CoinDesk article. 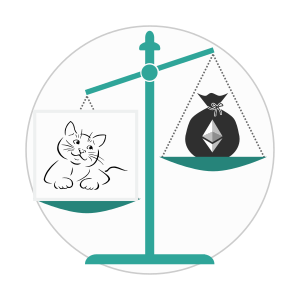 Other Dapps let you trade in virtual pets, celebrities, countries, or paintings in a gallery. But they are only offering a limited set of tradable items identified by ID numbers, and depend on a body of art that is not written to the blockchain, like headshot photos or animal cartoons that are hosted on a web server. If those web servers went down, you'd be left with nothing but a number. CryptoSketches is different: it takes your sketch and writes a vector representation directly to the blockchain. We believe this makes it a unique decentralised art gallery, and truer to the philosophy of Ethereum. Read more about what motivates CryptoSketches in this Medium post. Skilled and detailed work, verified authorship by a well-known artist, being among the earliest sketches published and other factors may all combine to make some sketches highly desirable to collectors. What's important to us is durability: not only are sketches resistant to censorship but we expect their contents to survive for millenia to come, since the Ethereum blockchain will be of historical importance to future technologists! You'll need a web browser, the MetaMask extension and some Ether in your MetaMask wallet. On mobile devices you can use the Trust Wallet app instead of MetaMask. You may find it much more convenient to sketch on a touchscreen! We've published the source code for this Dapp on GitHub. You can also monitor all transactions involving the CryptoSketches smart contract at blockchain tracking websites like Etherscan. You'll find a link at the bottom of this page. We can't alter or remove sketches. We do reserve the right to hide seriously offensive sketches from our home page, and from the gallery. But they'll still be there on the Ethereum blockchain. We expect artists to act responsibly in this knowledge. Leave your e-mail address to be the first to know about new features.